Welcome to the Forestream Dental, serving the Buffalo, New York area. Buffalo area dentist Larry Evola and his staff are committed to creating and maintaining great oral health and sustaining beautiful smiles. We keep up on the latest technology for general dentistry, cosmetic dentistry, and sleep apnea – not just so we can say that we have the best technology, but so that we can give you the benefits of better, faster treatments. Our mission for all patients is a bright and healthy smile for life, with your dental needs handled in a comfortable, inviting environment. Healthy teeth and gums produce a beautiful smile. When you are proud of your smile, you have more confidence and a better self-image. That's why at Forestream Dental, our Buffalo area dentists do everything they can to make sure patients have the best oral health possible. In addition to his dental training, Dr. Evola has had many hundreds of hours of additional training through The Las Vegas Institute for Advanced Dental Studies. LVI provides world-class continuing education for cosmetic dentists and neuromuscular dentists, and teaches them the latest techniques for creating healthy lifetime smiles. You can see the results of our work by visiting our Before and After photos page and also read what our patients have to say about us. At Forestream Dental we are committed to providing quality dental health and cosmetic dentistry care to our Buffalo, New York area patients. We have built our practice on a reputation of personal attention with traditional values in a warm and comfortable environment. Our goal is to be a total dental health care resource for patients of all ages. We realize that you wish to receive dental care from an experienced Buffalo dentist and a highly trained, caring staff; therefore, professionalism is very important to you. Our promise to you is that our office will provide you with some of the finest dental care and cosmetic dentistry in the Buffalo, New York area, using the most modern dentistry procedures and equipment. 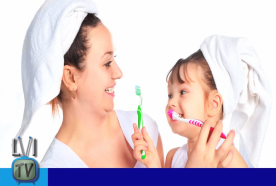 If you live in Buffalo, Amherst, Lancaster, Orchard Park or Williamsville, New York and are looking for a dentist that can provide all of the general and cosmetic dentistry needs for your family, contact us today to schedule a complimentary consultation or to schedule your first appointment. We look forward to seeing you soon! LVI TV, produced by Las Vegas Institute for Advanced Dental Studies, brings our viewers new content twice a month to help promote better oral health and hygiene practices. Stay tuned throughout the month for new featured videos! ”Dr. Evola, I have to say meeting you and your staff today was one of the best dental appointments I have ever had. I was very apprehensive about coming in today but after doing so I am very happy I did. Thank you for making this such an easy pleasant experience so far." - Brian K. McMillen, BKM Photograph. Welcome to Forestream Dental, the office of Dr. Larry Evola. 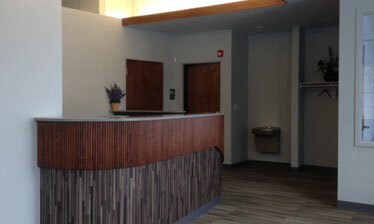 Click here to view images of our new office renovation!